The Wallow is the latest addition to PIGSPA and represents the biggest and best in-room spa experience we have created to date. 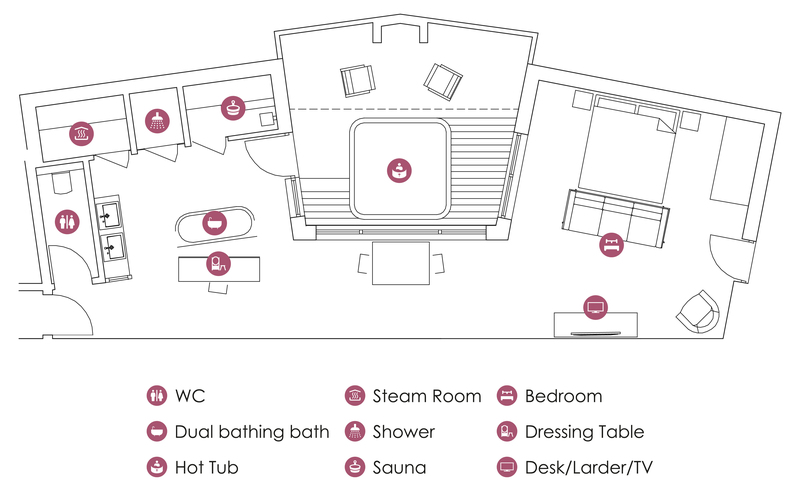 With a huge square footage there's plenty of space for the in-room experiences including sauna, stream room, in-room dining and an exclusive hot tub deck set in a secluded garden, we can't wait to share this room with you. Please note that this availability is not live data and updated manually as regularly as possible. To book your room and check availability use the 'Book a Room' button at the top of the page.